The idea of being a pirate is a romantic vision of stories we’ve read as kids. Maybe even with a touch of Robin Hood mixed in. We don’t really have the salt air in our hair and the wind in our sails. Unless you live at Etopia. Thanks to Dani (our game master and battle ref for the evening) we were once again able to live the carefree, adventurous, and even a bit reckless life of storied, fearsome, battle-worn pirates as we sailed the high seas of Etopia. Last ship sailing? 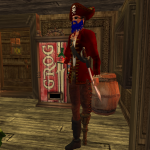 Pachuma was the winning pirate. Congrats mate for a battle well earned. And all ye jealous buccaneers, can kiss this captain’s… sash. As I walk about Etopia the subtle changes of late Summer and early Fall are beginning to appear. 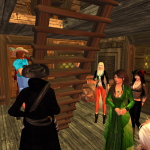 Autumn is here and so are the stars of SL. Stars of music, that is. Missed it? 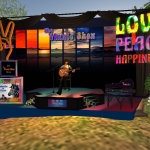 Join Katja and friends Saturday, 10 September, at 1pm SLT for Maximillion Kleene. 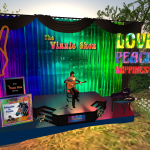 Be sure to make some time in your schedule to enjoy the best of live music every second Wednesday of the month beginning at 11am SLT. 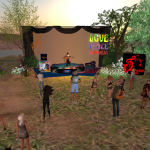 There are many great venues in SL, but the best is KATJA’s at Etopia . That’s what Summer Serra felt about Torben’s music. And we did too at his concert at KATJA’s today. 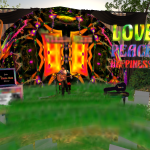 The night sky was filled with color and energy as Torben’s celebration of our Earth embraced us in the most beautiful music and awesome particle show. 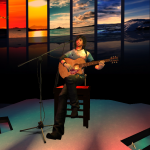 To learn more about Torben and his music visit his website, http://www.torbenasp.com. It’s a special month for many causes, but one that is personal for me is brain injury awareness. Last fall the Brain Energy Support Team launched their #5forsuperheroes campaign. Many of our residents supported this giving campaign and I am so grateful. 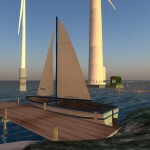 Here’s the article BEST published on their blog; http://bit.ly/1lsIkfk. Check it out. Etopia is home to many nonprofits that support communities and individuals in need or simply to spread awareness, educate, and enhance our quality of life. 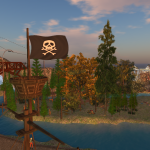 Wander the Etopia Island Plaza and the Coastal Village on Etopia Prime to learn more. Let’s show these terrific people and organizations how much we appreciate their efforts and hard work. They really do make a difference. 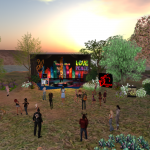 Etopia is about education and community. We never miss an opportunity to engage in either or both. I see this every day whether Wraith is sharing information about mediation techniques or Patrick is showing off the bike shop to a new visitor. So it’s no surprise that one of our favorite fans, Zinnia Zauber, brought her class to Etopia to learn more. 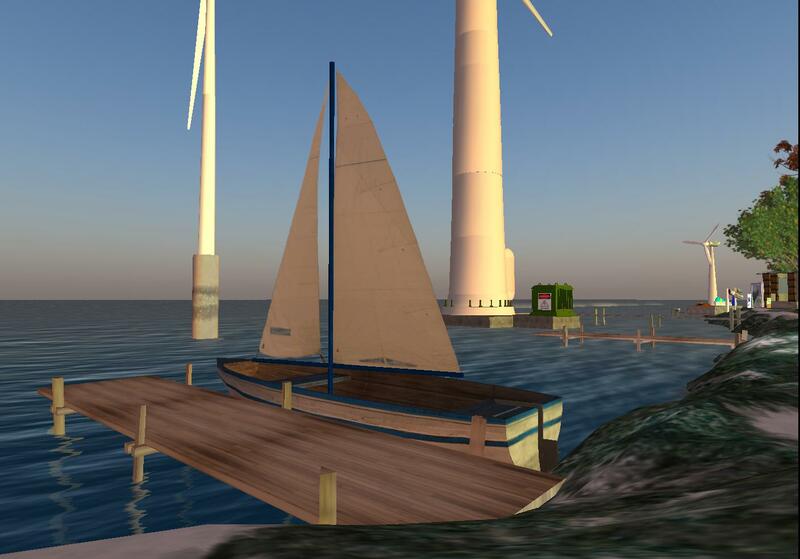 For those unfamiliar with Second Life, it’s a virtual environment in which users interact with each other and a world they create. Think of it as a social platform on steroids. It’s also a platform for enhancing the way we work together. 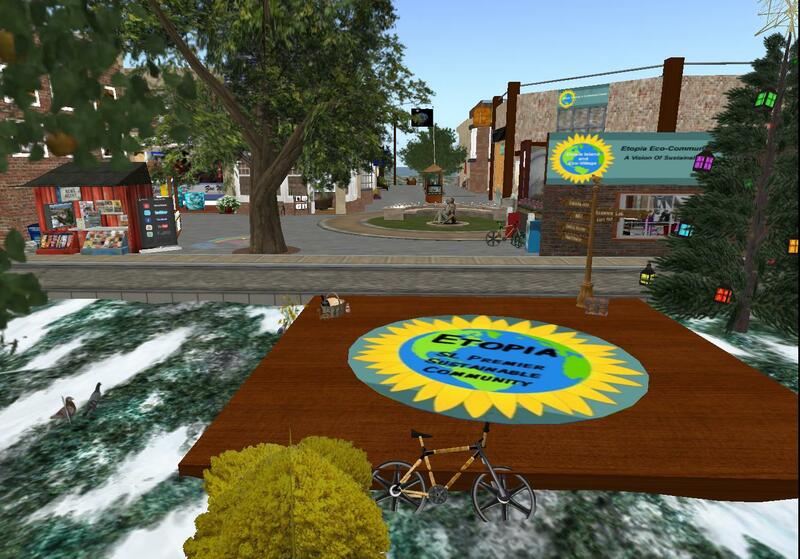 My goal with the virtual environment I helped create and continue to build upon is to allow visitors to learn about community, mindfulness, and sustainability. I know sustainability is a buzz word, but it is a focus I work with clients on adopting and applying to their organizations. There are many things that go into building a business whether it’s a brick and mortar operation or solely Internet-based. Green infrastructure considerations apply to both. Increasing efficiency while lowering negative impact on the world around us benefits the environment and everyone in it. Etopia has been my way of demonstrating what we can do to create community, live well, and work successfully. 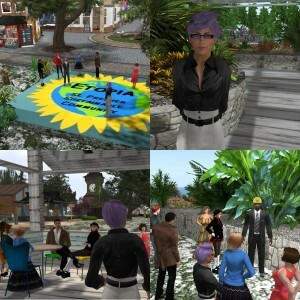 The nonprofits and professionals that call Etopia home in Second Life not only appreciate this, but contribute to it. Virtual environments aren’t for everyone. There is a learning curve. 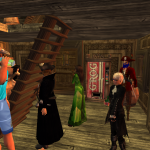 There are those that see Second Life as another online gaming platform like World of Warcraft. 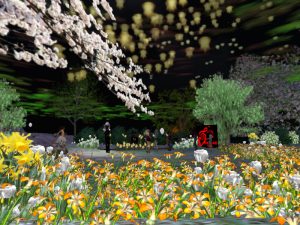 However, when evaluated in context of a changing business world and in light of the educational opportunities inherent in immersive experiences, Second Life, and by extension Etopia, offer limitless possibilities. Winter is here, both in our first lives and at Etopia. For most of us the Etopia winter is mild and doesn’t require the winter gear of our first lives unless, like me, you have a ton of brand new mesh sweaters and boots. But if in your first life you have a great pair of boots you love that just don’t quite keep your toes as warm as you like, then here’s an inexpensive and easy do-it-yourself trick from IntenseAngler’s YouTube channel. We’ve got it all including the world famous, live music venue, The Rhodehouse. Happy Holidays to all our Etopia friends and family! In many places snow is deep. In others the weather is warm and sunny. At Etopia we have just a dusting of snow unless you’re headed up to Eagle Peak where it’s cold and snowy. Our plaza is clear of slush and a horse-drawn wagon ride makes for a great way to see the sights. It’s our way of saying Happy Holidays to all! One way of celebrating the holidays is to come on out to the annual Etopia Holiday Dance. 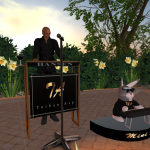 DJ Dani will be bringing the best in Big Band to the Pavilion tomorrow evening, 18 December, starting at 7pm SLT. So put on your dancin’ shoes and join family and friends for a swinging good time! I found this wonderful article in my recent newsletter from the Tacoma Food Coop. I love this place nestled in a bustling neighborhood on 6th Ave in Tacoma WA. If you’re in the area it’s well worth a stop and shop. Please note I hijacked this article and do not, yet, have permission to share it. But it was too good to pass over. We all know and love the convenience of supermarket produce, the comfort of being able to walk a few blocks and have an entire forest of food presented to you. Whether the food originates from a farm a day’s drive away, or a plantation way on the other hemisphere of the globe, it is brought in ripe, daily, for consumption. And don’t get me wrong, it’s a beautiful thing. But it also allows us to forget where our food comes from. Do these berries come from a tree? What does a carrot look like when it’s growing? Many of us (save the home-gardeners) may not know, as we have never had to find food ourselves, a luxury humanity has enjoyed for a relatively microscopic portion of its existence. That said, our generations are fortunate enough to live in an era where foraging still represents a viable source of food – and as Washingtonians, we have access to a virtual cornucopia of forage-able delicacies! Fortunately, one doesn’t have to go far to practice the art of searching for wild food resources. The Washington Department of Natural Resources allows personal use harvesting of berries, mushrooms, fiddleheads, and other forest produce. Limits range from 3-5 gallons of each species per year – more than enough to freeze and supply yourself through the winter. State Parks (managed by Washington State Parks) allow non-commercial foraging, although one has to go on a case-by-case basis with the national parks (just ask a ranger if you’re unsure). For the modern apex predator, I would recommend checking out an online app by the name of GoHunt. Created by the Washington Department of Fish and Wildlife, the app shows you an interactive map of Washington that can be filtered by type to show you areas in which you can forage. It also helps keep you off private property – definitely a hazard in some of the more open areas of the state. And for the city-slicking forager, there’s the Gleaning Project. This project, started in 1982, allows civilians to forage “emergency” food out of farmlands and neighborhood fruit trees alike. “Emergency” food is food that will go to waste if not picked, usually when the landowner does not have the resources to harvest it. 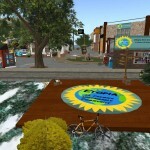 Essentially, the project saves good food by getting it into the hands of a consumer, at the low cost of a day’s work. Donors can register their trees for gleaning, and thus give back to the community. And gleaners can get back to nature without ever having to leave the city! Hopefully this article has given you inspiration to get out and get picking – as you get closer to nature, you will get closer to yourself too. After all, we are what we eat.